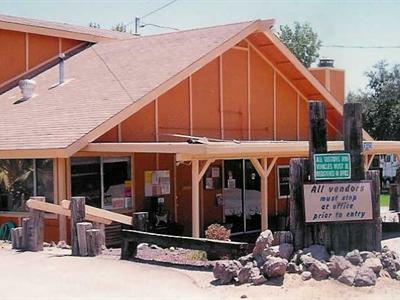 Just 6 miles west of Parker, Arizona on the California side, Big River R.V. 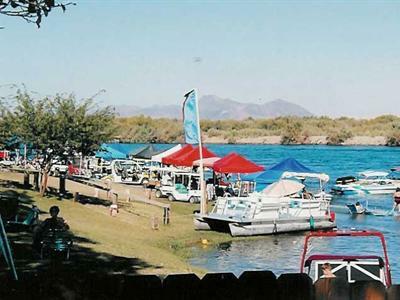 Park is located along the Colorado River with access to 40 miles of river for water skiing, boating, and fishing. This family park is in a quiet rural setting with winter temperatures in the low 70's. The summers are active with water sports on the river and sun bathing on the beach. 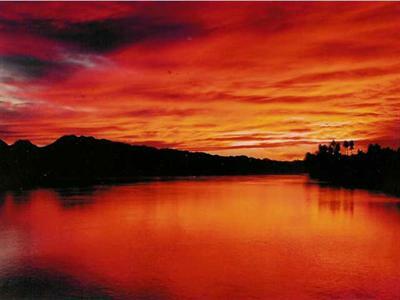 The Colorado River is viewable from all our campsites. Our beautiful beach accommodates all watercraft mooring. Bring your personal watercraft or a 30 foot powerboat and have a blast on the majestic Colorado River. You're sure to have a great time. There are many waterfront sites located right at the edge of the Colorado River. You won't find a more perfect place to bring the family to enjoy some quality time in your RV. You are sure to have a wonderful time down by the river. Once you are at the bottom of Marina Drive, you will approach our security gate. Push the intercom for admittance. As you enter you will see the Colorado River at the end of our launch ramp. For further directions, please stop at our office. Whether it's crafts, scrapbooking or pot luck dinners, our Park Office is the focal point of all activities. In 2010, Recreation Vehicle Industry Association (RVIA) and the RV industry will mark the RV centennial with an array of special activities celebrating the 100-year journey of a uniquely American product. For more information, visit Go RVing - 100 Years of Exploration and Innovation.